You are here: Home / Blog / Digital Marketing / Is Display More Important Than Search for Your Advertising Campaign? In the lead up to GDPR, one of the things that came up most when chatting to our clients was whether or not the Google Display Network – and display marketing in general – was suddenly going to be unusable in their digital marketing strategies. Amongst the hundreds of articles, blogs and tweets discussing the effects of GDPR on display advertising I came across an article claiming that the era of the Display Ad was at an end. In a nut-shell, the article suggested that internet-weary consumers are becoming less receptive than they used to be to the so-called “interruption-driven” model of visual-based ad servers. This can lead to an effect known as ad fatigue – the“numbing” of users to your marketing efforts over time. Ad-fatigue can affect display marketing campaigns, but it can also be seen with search marketing and even traditional platforms like print and television advertising. So why aren’t we reading more articles foreshadowing the death of advertising across all of these mediums? While I don’t completely disagree with the report’s conclusions, I find it difficult to accept the idea that an entire subsection of digital marketing is dead – especially given that I keep seeing display marketing success stories here at Mackerel Media. I suspect people just don’t realise the huge potential of Display Network advertising has for most businesses when used correctly. For the most part, advertising campaigns which rely on the Google Display Network are used for building Brand Awareness across the internet. Let’s build a worst case scenario: an e-commerce business using just one piece of ad-creative across the entire Google Display Network in a “scatter-gun” fashion. Whilst the adcopy may be “on-message” for our brand, this method would mean Google could theoretically place our advertising banners or MPU’s wherever there is display inventory available, regardless of the page’s topic or our advertiser’s desired outcomes. As any digital marketing agency worth their salt will tell you, this is an extremely inefficient use of your campaign budget – supposedly $7.4bn was wasted on Display in 2016 – and one that is unlikely to bring any real success. Plus, even in our hypothetical scenario, we’re still at the mercy of user-apathy and the dreaded Ad-fatigue. 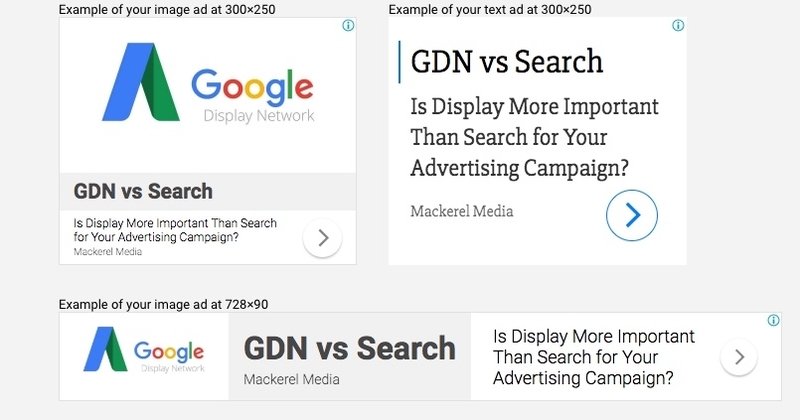 For this all too common situation, the report is correct – this type of “anything & anywhere” display advertising campaign has already come to an end – today it is more difficult than ever for marketers to create this type of campaign on the GDN, and other display networks are beginning to follow suit. The implicit message of the report – which highlights that the average display network CTR is only 0.35% – is that display adverting doesn’t receive enough clicks, and a low CTR means that a campaign is failing. On the Google Search Network – which determines intent via a user’s search query – such a low CTR would often (but not always) be cause for alarm. Due to the very nature of display campaigns however, impressions are often very high – after all, there are near unlimited websites where an advert may be chosen to appear. With this in mind, I’d argue that 0.35% is a positive performance for any display campaign. Don’t forget, there is a myriad of targeting options that allow your display campaign to reach a better defined and more effective audience, thus increasing the likelihood of a user clicking your banner advert or MPU. 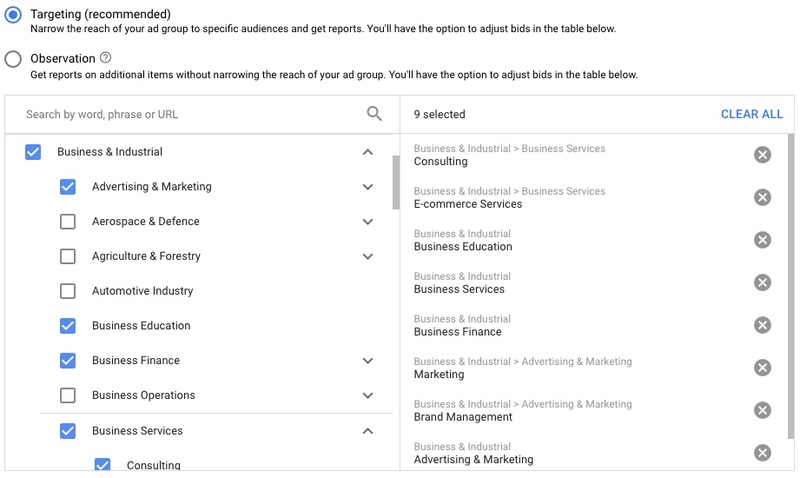 Google AdWords users can target specific page placements (such as ones you know your key audiences frequently visit), topics that relate to your services or even product keywords. 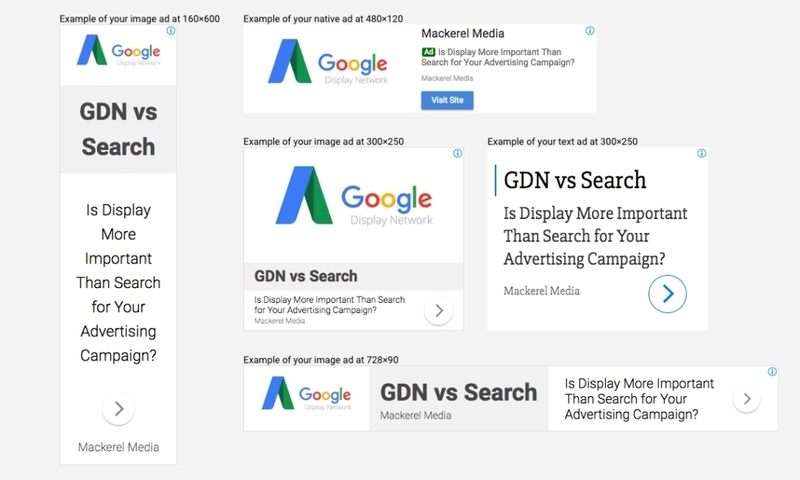 Google’s Display Network targeting options have become more sophisticated than ever. Let’s use one of Mackerel Media’s own clients as an example: Working in a competitive market space, CTR for our client Display network campaign was 0.21% – lower than the 0.35% identified as being “not enough”. An important factor here however was wherethe adverts appeared on the Google Display network – Placement Targeting had allowed us to identify and target websites which were frequented by internet users who had been identified as “most-likely-to-convert”, whilst Google’s Affinity Placements automatically chose similar websites to further increase our reach whilst still remaining within our target “converting” audience. At the same time, multiple ad-creatives were offered to combat the effects of ad-fatigue on impressions – each with a slightly different USP. This large-scale, targeted Display Network advertising campaign with multiple pieces of adcopy available across an 18-month period resulted in around 10,000 clicks to our clients landing pages. Our total spend during this campaign was about £8,000, giving an Average £/Click of £0.80. For the same number of clicks on the Search Network, where an extremely competitive market means CPC is higher at around £2.00, 10,000 clicks to site would have cost an eye-watering £20,000 – a massive increase in cost for the same amount of traffic to the same landing pages. Here we can see that a properly targeted display campaign with engaging creative can allow any company to successfully reach a large number of potential customers with a relatively low CPC. The message here is that getting in front of the right audience will trump large impression numbers any time. We can see that a properly targeted display campaign with engaging creative can allow any company to successfully reach a large number of potential customers with a relatively low CPC. The message here is that getting in front of the right audience will trump large impression numbers any time. What the report fails to acknowledge – and something that our clients have been pleased to hear – is the use of audiences, dynamic and remarketing campaigns that take advantage of the Google Display Network’s ability to accurately track users across their web journeys. Even post- GDPR, we can learn a huge amount about a users behaviours, interests and most importantly – their intentions. With careful analysis of our targeting options and user behaviour, we can make sure that a user – whether they’re brand aware or not – see’s your advert at the right time, and the right place for them to make those key decisions that benefit your business. Mackerel Media isn’t ready to give up on Display Advertising just yet. https://www.mackerelmedia.co.uk/wp-content/new_uploads/Is-Display-More-Important-Than-Search-For-Your-Advertising-Campaign-e1535731200229.jpeg 354 600 Jonathan Mowat https://www.mackerelmedia.co.uk/wp-content/new_uploads/MAC-logo-340-1-300x86.png Jonathan Mowat2018-08-31 16:59:022018-08-31 17:01:33Is Display More Important Than Search for Your Advertising Campaign?